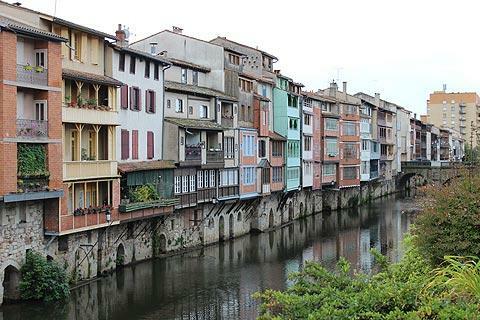 Castres is a large town in the Tarn department of the Midi-Pyrenees, east of Toulouse. 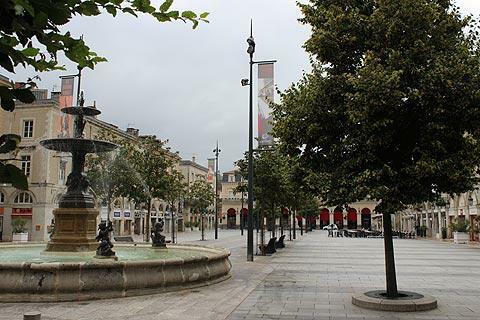 Although it is not a 'tourist' town there are some buildings of interest here and two museums so Castres is pleasant to explore. 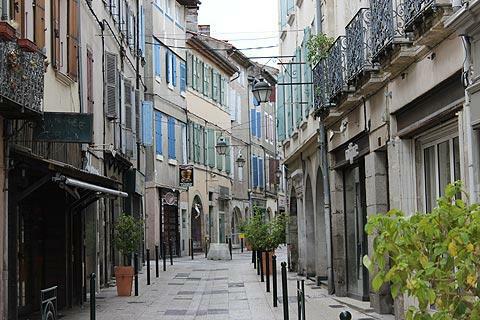 Your visit will be based in the oldest part of the town, along the river and Place Jean Jaures. 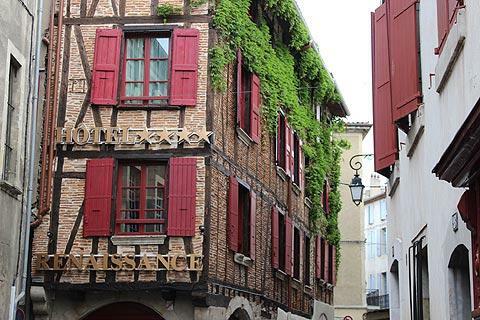 The highlight of a visit to Castres is undoubtedly the view of the houses along the River Agout, a very pretty row of houses which were once home to leather tanneries and cloth dying industries. 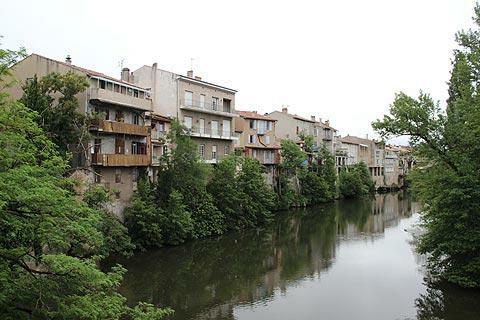 These houses and their balconies overhang the Argout river in the town centre while direct access to the river is provided by exits from the houses at the lower level. Note that the houses look even more impressive at night when they are lit up than they do during the day. France This Way comment: you should be aware that the interesting monuments in Castres are separated by rather a lot of less interesting buildings, rather than all being together in one 'historic centre'. 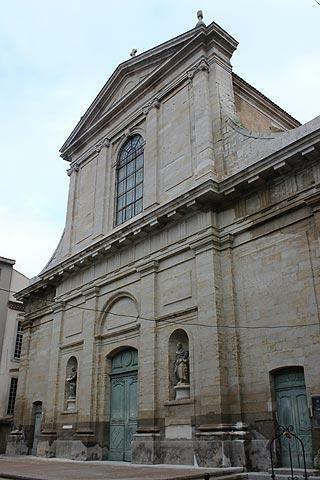 The main religious monument in Castres is the Church of Saint-Benoit which was built in the 17th century and was originally a cathedral, hence it is still frequently referred to as Castres cathedral. 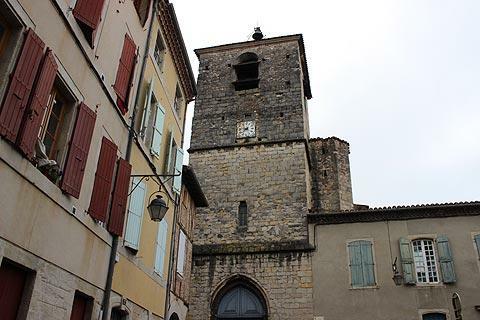 There are several other churches of interest in the town including the Eglise de la Plate, the oldest church in Castres although rebuilt in the 18th century in the baroque style, and the pilgrims church called the Eglise Saint-Jacques de Villegoudou. Another place of particular interest is the Bishop's Palace which is now the town hall and which has immaculately laid out gardens of box and yew hedges. The Bishops Palace was designed by Mansart, the architect of the Palace of Versailles, while the gardens were laid out by Le Notre, a very famous 17th century landscape gardener in France who also laid out the gardens at Versailles. Elsewhere in Castres you can see some other grand 17th century renaissance style houses such as the Hotel de Viviés, the Hotel Jean Leroy, Hotel Poncet and the Hotel Nayrac featuring ornate decoration and entrances. 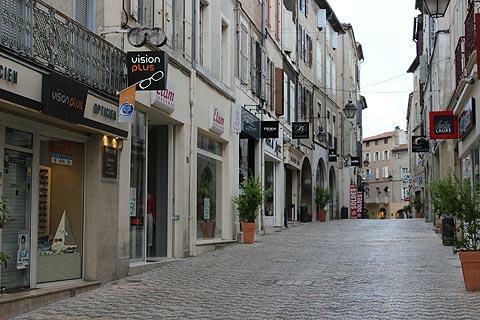 The town also has some narrow streets to explore, and a pedestrianised shopping area based around Place Jean Jaures. Each important monument in Castres has a useful information panel and directions to reach the next monument but I found these difficult to follow (I got lost almost every time!) so would suggest you also bring a map with you or get one from the tourist office. 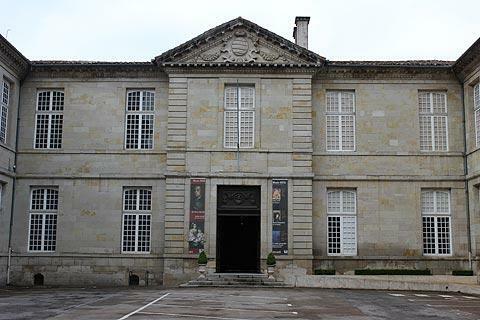 The Goya museum in Castres is dedicated to Spanish artists and contains three works by Goya himself, and many by other important Spanish artists such as Velasquez. The museum is in the Bishop's Palace. A second museum examines the life of Jean Jaures, born here in 1859. Jaures was an important French politician best known as a pacifist who was opposed to the First World War. From the town centre you can take a ride on a traditional boat that travels a couple of kilometres along the river to an extensive park area called Gourjade Park, ideal for a picnic or a stroll in a peaceful setting. Outside the town centre Castres is a very sprawling town and we were a bit suprised to find our 'edge of town' hotel was about seven kilometres away in a large industrial development. Yes we should have read the details more carefully - and I suggest that if you are visiting you should check the position of your hotel carefully before booking! After seeing Castres, head a little way east towards the granite plateau region around Le Sidobre where woodlands and rivers, interspersed with streams of large boulders and other rocks that are precariously balanced create a magical world and plenty of amusement for the children as they argue about what animals the rock shapes resemble.